If breakfast is the most important meal of the day, then brunch is definitely the most important meal of the week. Saturday or Sunday morning spent with friends, Eggs Benedict and bottomless mimosas is something we can always get on board with. 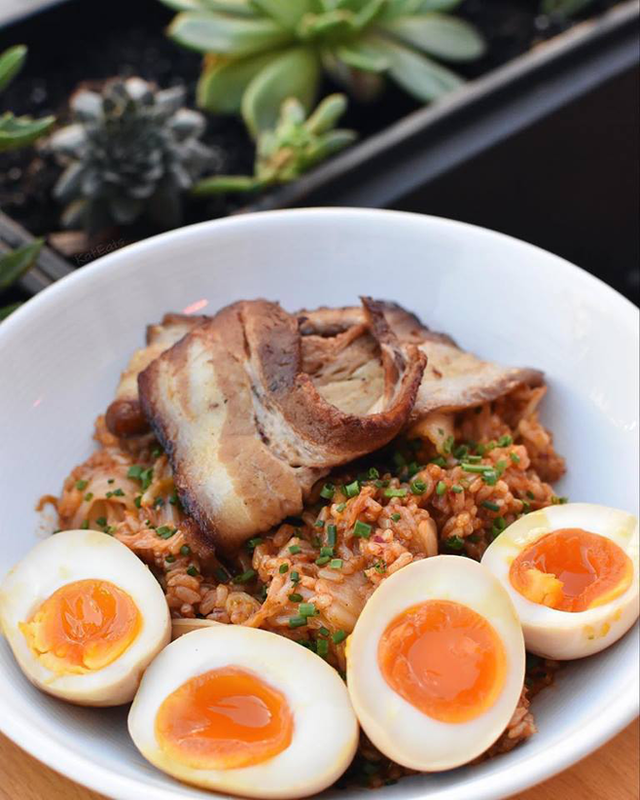 We already rounded up the 17 best brunch spots in the Bay Area which covers San Francisco and a few spots in the East Bay and Marin, but now we’re taking the opportunity to stick to Oaktown, where locally-owned foodie destinations can be found on every corner. From the new spots you may not have tried yet to the mom and pop places that have been here for decades, check out our top picks in Oakland and start planning your next brunch! 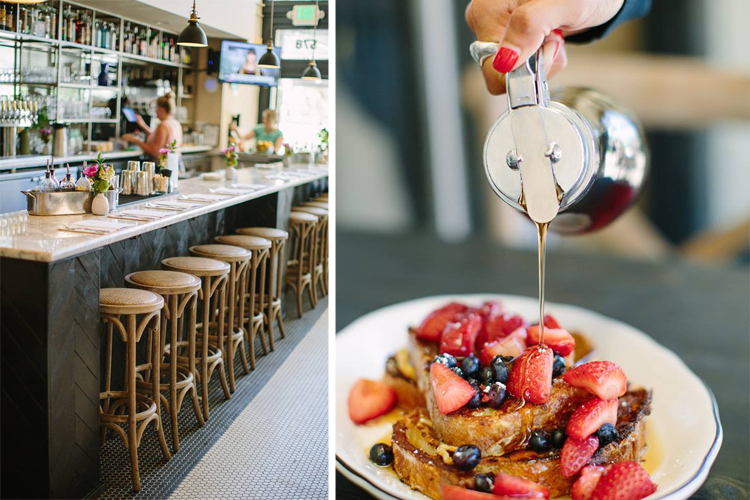 Grand Lake Kitchen serves one of the best brunches in the Bay and they serve it every day! Stop by any day between 9 a.m. and 3 p.m. to get a taste of dishes you won’t find anywhere else: Squid Toast, Quinoa Porridge, Gumbo Hash and (our favorite) Savory French Toast, which is rye bread dipped in porcini batter and served with two poached eggs, wild mushrooms, parmesan, arugula and herb oil. For guests who want something a bit more traditional, they also offer must-try Avocado Toast, sweet French Toast, homemade donuts, Eggs Benedict and more. This Oakland mainstay serves up the most impressive meal and atmosphere combo in town. Owner Charlie Hallowell began his culinary career at Chez Panisse in Gourmet Ghetto — so he knows his way around outstanding, sustainable kitchens. At some point, we recommend trying everything, but you should start with the beef brisket and potato hash served with horseradish crème fraîche. Inspired by Northern California ingredients and interpreted by Chef Craig DiFonzo and his innovative staff, the food at Lungomare is some of the most flavorful and fresh you’ll find in Jack London Square. From housemade scones and granola to the House Smoked Salmon and Housemade Brioche French Toast — there’s something fresh to taste every time you stop in for brunch. We recommend finishing with a scoop of gelato; it’s made in-house as well! This coveted brunch is only available one day each week. Get to Cosecha early on Saturday so you can try the most talked about brunch in Old Oakland. The small and precise menu includes Mexican-inspired dishes like simple Raised Waffles made with Full Belly Farm whole wheat organic flour, and flavor-packed Huevos Cuauhtemoc with two Free Spirit Farms fried eggs over beans and salsa de Arbol, then topped with avocado and handmade corn tortillas. Pair that with a Bloody Maria and that’s what we call brunch! 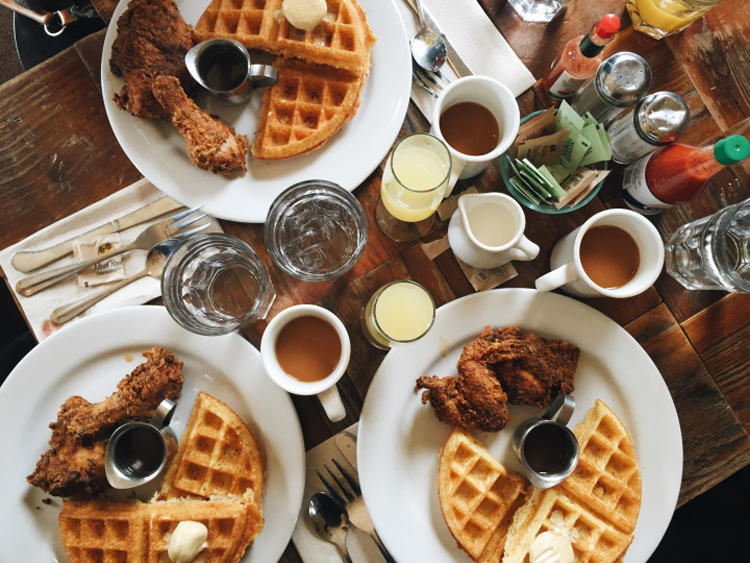 Brown Sugar Kitchen is the place to be for weekday breakfast; between the hours of 7 and 11:30 a.m., you can enjoy the famous Buttermilk Fried Chicken & Cornmeal Wafﬂe, organic cheddar cheese grits, homemade warm, buttermilk biscuits served with seasonal jam and more. Then, come back for Saturday and Sunday brunch to find even more homemade dishes like Beignets, Smoked Pork Hash and the Oyster Po-Boy Sandwich. Sign us up for a spot every day of the week! Weekend brunch at Chop Bar features some of the best Bloody Marys in Oaktown alongside locally-sourced ingredients like Laura Chenel goat cheese from Sonoma, Arizmendi English muffins and Acme Bread Company items from Berkeley. Named after traditional West African roadside bars that also serve as community gathering places, the name brings this locally-focused, neighborhood spot full circle. And we’re definitely on board! Chefs Anthony Salguero and Brian Starkey use locally sourced ingredients to craft seasonal menus inspired by the cuisine of Provence, France. This has landed them the Michelin’s Bib Gourmand award for 4 years in a row — and it’s not hard to see why! Get a taste of the Brandade Tartine and you’ll understand too. It’s a dish consisting of salt cod and potato, herb aioli, radish, almonds and a soft boiled egg. Yum! If handmade tortillas are on the menu, you can count us in. And at Nido, they make everything in-house, from the tortillas to the guacamole! Ingredients and meats are sourced locally and humanely to create Mexican-inspired meals developed from family recipes. You’ll always find tacos on the brunch menu, but you’ll also find seasonally-driven breakfast dishes like Pancakes de Requesón, a ricotta cheese-lemon pancake with huckleberry, honey-lemon butter and dulce de leche. The Fat Lady is on most East Bay brunch round-ups simply because it’s become an essential Oakland stop. The restaurant originally opened its doors on May 14, 1970, and the family business is now run by the third generation. As you eat Grand Marnier French Toast or the Crab and Avocado Omelette and sip a Champagne cocktail amidst historic Victorian decor, ask your server about the story behind any decorative item — they all have one! No matter what the meal time, Cactus Taqueria makes everything from scratch with no artificial ingredients and all the meat and poultry comes from partner farms without the use of growth hormones, antibiotics or animal by-products. At weekend brunch you can enjoy that freshness and flavor with a plate of Chilaquiles and a hot cup of Cafe de Olla con Leche, a margarita or a Michelada! 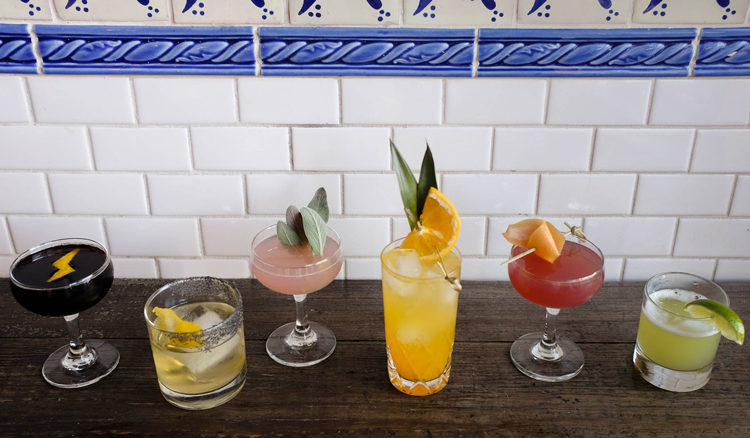 Inspired by the owner’s own Aunt Mary, the cuisine at this Temescal restaurant puts a mouth-watering emphasis on Southern, Southwestern and Texan cuisine. You can stop by for breakfast, lunch or brunch any day of the week, but on Saturdays and Sundays, they offer special brunch options like spicy Huevos Benedictos, Breakfast Crab Chile Rellenos and Lemon Ricotta Cornmeal Pancakes with fresh cherry balsamic compote and vanilla honey cream cheese! At Hopscotch, Chef Kyle Itani’s menu is made up of American regional classics influenced by Japanese flavors and techniques, and it’s complemented by a full bar and cocktail program. Because the menus change regularly based on seasonal, sustainably sourced ingredients, you’ll find something new to enjoy every time you stop by. Typically, on the a la carte brunch menu, you’ll find dishes like the Braised Pork Belly Benedict, oysters, donuts with butterscotch cream, and the Buttermilk Fried Chicken and Biscuits. Come by Saturday and Sunday or during Monday Industry Brunch from 11:30 a.m. – 3 p.m. When you stop by for weekend brunch at Portal, expect a wait. They don’t take reservations and everyone loves the food, but trust us, the setting alone is worth it. The open-air beer garden features an expansive patio with a breathtaking view of Lake Merritt. Pair that with the GCCB, a gravy covered chicken biscuit with fries and eggs, and we’re in! This downtown art deco restaurant and bar is driven by its ornate surroundings and the opulence of a bygone era. For every meal, you’ll find fresh, house-made, American classics and at brunch, that comes in the form of Belgian waffles with buttermilk fried chicken, Eggs Benedict dishes with fried green tomatoes, beignets, buttermilk biscuits and more. This mom and pop café is nestled in East Oakland’s Laurel District. Whether you choose the Herb & Goat Cheese Omelet or the Waffle with apples, butter and maple, you can rest assured that all the eggs come from pasture-raised chickens and everything is made by hand, from scratch. That includes the breads, pastries, bacon, sausages and jams! They’re open for breakfast and brunch every day Wednesday through Sunday. In the comments below, tell us where you go for Oakland brunch — even if it’s not on our list!